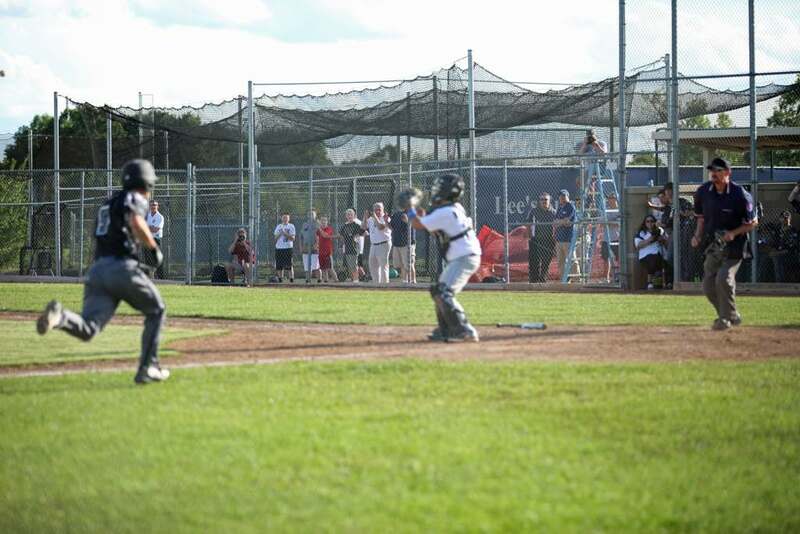 The Cardinals won their third post-season game against Center by a score of 64 to 56 this Tuesday. 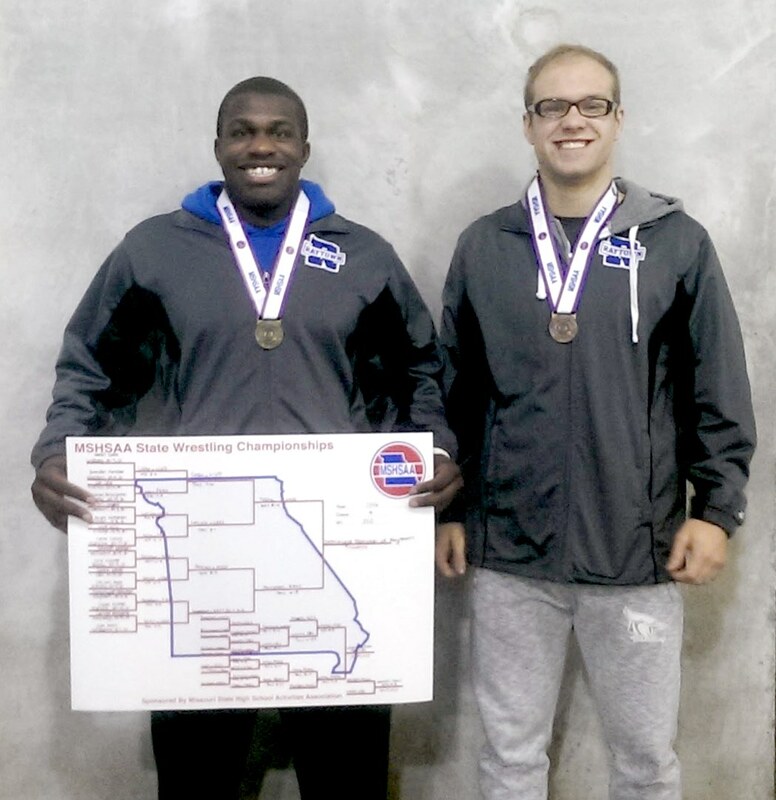 The game took place at Blue Springs South and advances South in the Missouri Class 4 boys sectionals. Next up for the Cardinals is Kearney on Saturday at 1:00 pm in the Silverstein Eye Centers Arena in Independence. Leading scorer for the Cardinals was Senior Alex Herndon with 20 points. Truly South has turned into a Cinderella team in the post season after a less than exciting regular season. Raytown’s Jeremi Barnes is competing in the NAIA Indoor National Championships in Johnson City, Tenn today. His event is scheduled for 1:30 pm. Jeremi has the 8th longest Triple Jump distance in the nation. 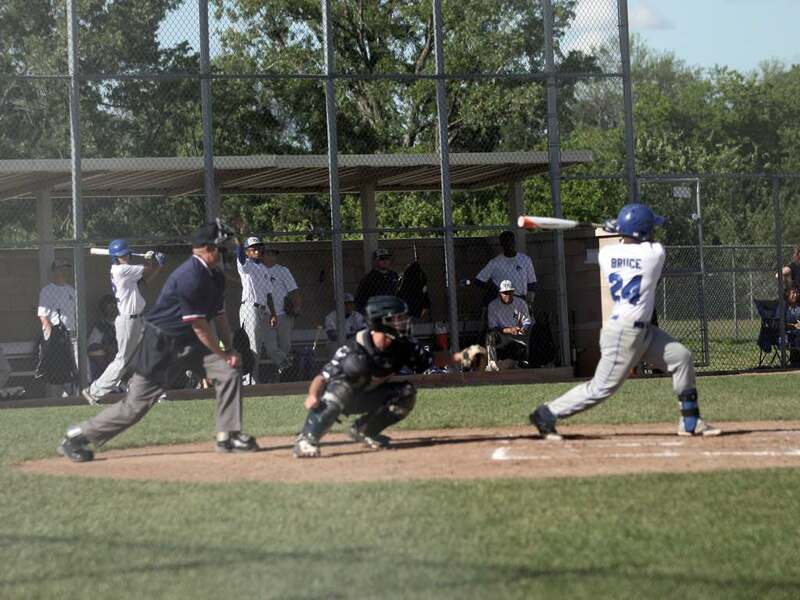 Jeremi is a Freshman at Avila University and is the son of Donna and Jerome Barnes of Raytown. Devin Drew’s layup at the buzzer gives Raytown a 39-37 win over Rockhurst in the Missouri Class 5 semifinals at Park Hill. Raytown South vs. Grandview boys junior varsity basketball game cancelled. The Royals trailed until in the 9th inning KC was able to tie the score 2 to 2 and then finish the 9th without the Mets scoring. The game continued in extra innings until at the top of the 12th inning the Royals put 5 more runs on the scoreboard and finished the bottom of the inning by holding the Mets from adding any runs. 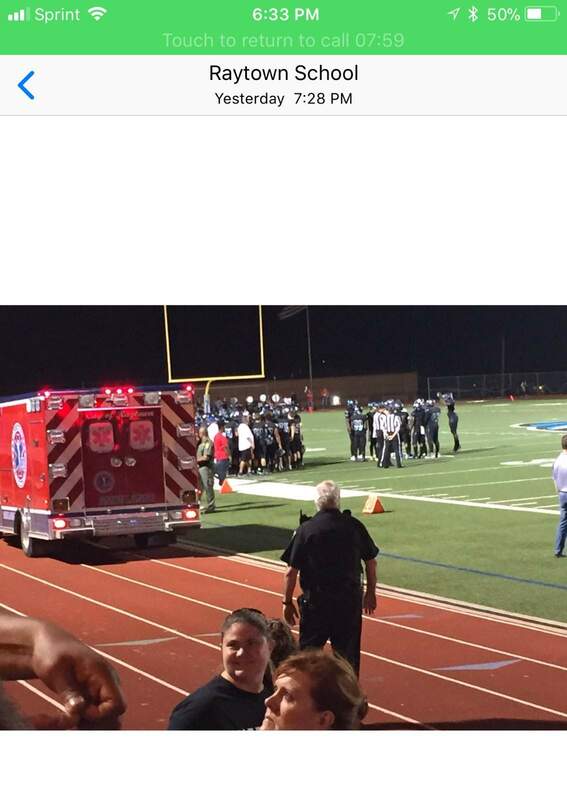 It was a nail biting game until the 9th. To say that this team never gives up is an understatement. Interested in tickets? Contact Mike Fosselman with the Comets at 855-452-4625 Ext. 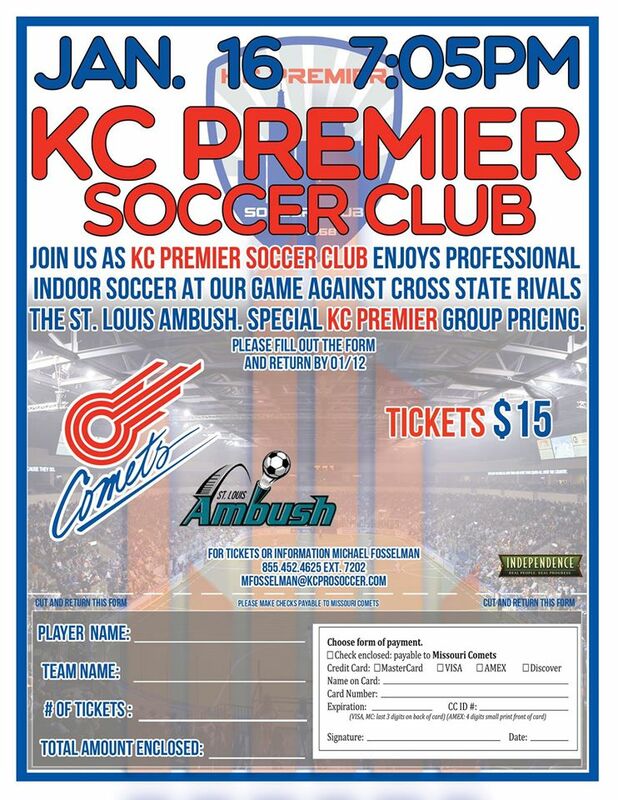 7202 or email him at mfosselman@kcprosoccer.com and be sure to mention that you are supporting KC Premier Soccer Club to get your special pricing! Purchase tickets no later than February 16th! Thank you! The speeches were short and the mood was joyous at Raytown South High for the official Ground-Breaking for the new football stadium. 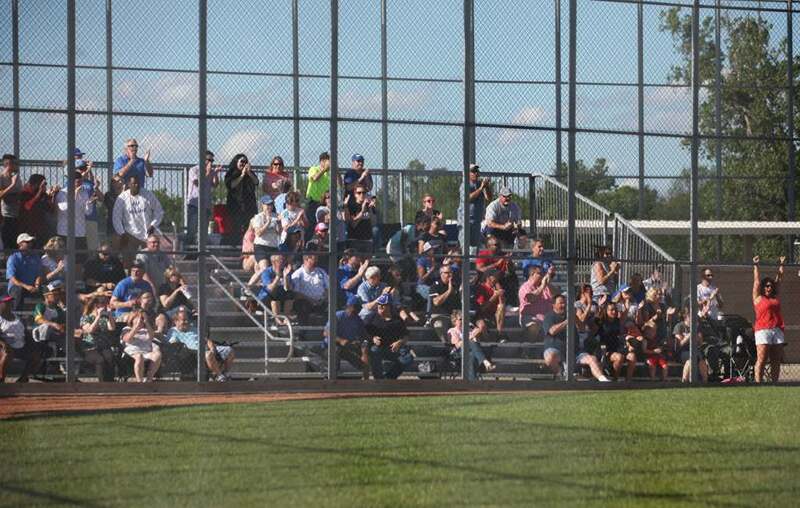 The future promises new bleachers for the home crowd on the West side, the relocation of the old bleachers for the visitors on the East side and restrooms a plenty. The short video starts with the speeches, then pictures of the multitude of officials and students posing with the obligatory gold shovels. The Raytown South High School Drum Line finishes the ceremony off with some spirited percussion. Just .21 seconds away from breaking the conference record, Raytown High School’s swim team won the 200 free relay at Conference in Gladstone, Missouri. The 200 free relay team, consists of Jordan Atkins, Braden Best, Tristen Caudle, and Grant Meyers, led by coach Jim Aziere. Raytown’s swimmers also placed well in other events. Braden Best won Conference Champion in the 50 free and the 100 free. Tristen Caudle won Conference Champion in the 500 free and took 2nd in the individual medley. Grant Myers took 2nd in the 100 breast and 3rd in the 100 butterfly. Devin Fiene took 3rd in the 200 free. Jordan Atkins took 4th in the 100 butterfly, and the 400 free relay team took 3rd. Raytown’s only diver, Austin Goold, took 3rd. Every member of Raytown’s swim team made All Conference. The 200 free relay team will go on to the State Championship in St. Peter’s, MO on November 7th and 8th. 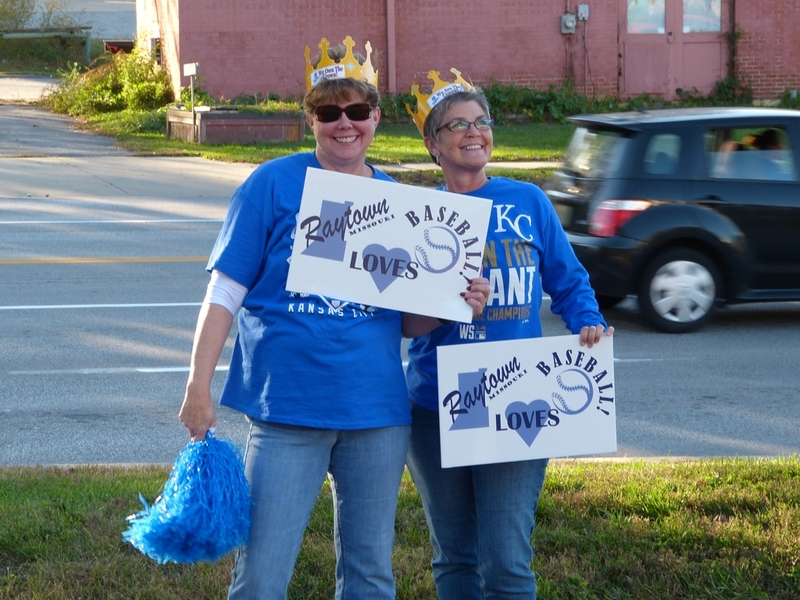 Two Royals fans were out in front of the Raytown Chamber building at 59th and Raytown Road on Tuesday to cheer on the team. There is a report that they will repeat this on Wednesday, starting about 4:45 PM and are encouraging fans to join them. The Raytown School District is pleased to announce the hiring of Nick Adkins as the Head Football Coach at Raytown South High School. Adkins has been at Raytown South since 2006 and has most recently served as a business teacher and Assistant Varsity Football Coach. He served as Special Teams Coordinator from 2007-2009 and Defensive Coordinator from 2010 to present. Adkins has also served as Head Boys Golf Coach since 2012. Adkins earned his Bachelors of Science in Business and Marketing Education and a Minor in Business from the University of Missouri. He earned his Masters of Science in Education in Curriculum and Instruction and his Education Specialist in Secondary Administration from the University of Central Missouri. The Williams Baptist College women’s soccer team has added Dara Britton to its 2014 recruiting class. Britton is a senior at Raytown South High School. Her honors include a 2nd team all-conference selection, as well as being the top goal scorer her freshman year. 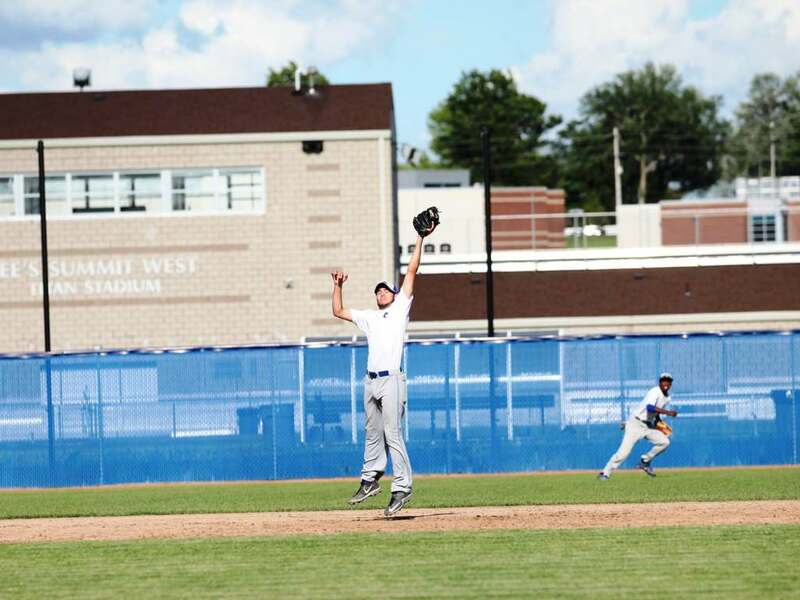 Britton is a versatile athlete that projects as a forward/defender. She is involved in the National Honors Society, the golf team, and Family, Career and Community Leaders of America (FCCLA). She is the daughter of Rachelle and Darrick Britton of Raytown, Mo. Williams is a four-year, liberal arts college located at Walnut Ridge, Ark. WBC is a member of the NAIA and the American Midwest Conference. 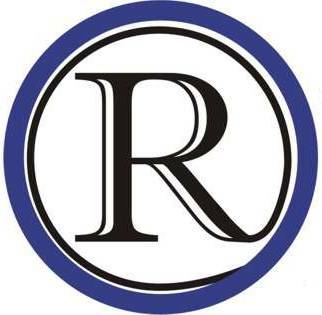 The Raytown High School Lady Jays volleyball team will host a volleyball camp on Saturday, May 17 at Raytown High School. 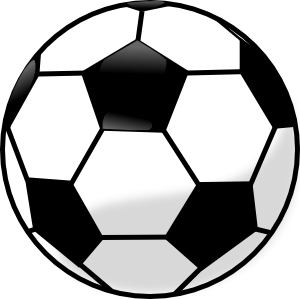 Elementary players will meet from 8:00-9:30 a.m., middle school players will meet from 10:00 a.m.-12:00 p.m., and high school players will meet from 12:30-3:00 p.m. The cost is $10 to register. The goal of the camp is to introduce young players to the game of volleyball and prepare older players for high school level competition. Lady Jay coaches will break down fundamentals for passing, hitting, and serving. Training will also include group and one-on-one coaching including drills and 6 on 6 playing time. 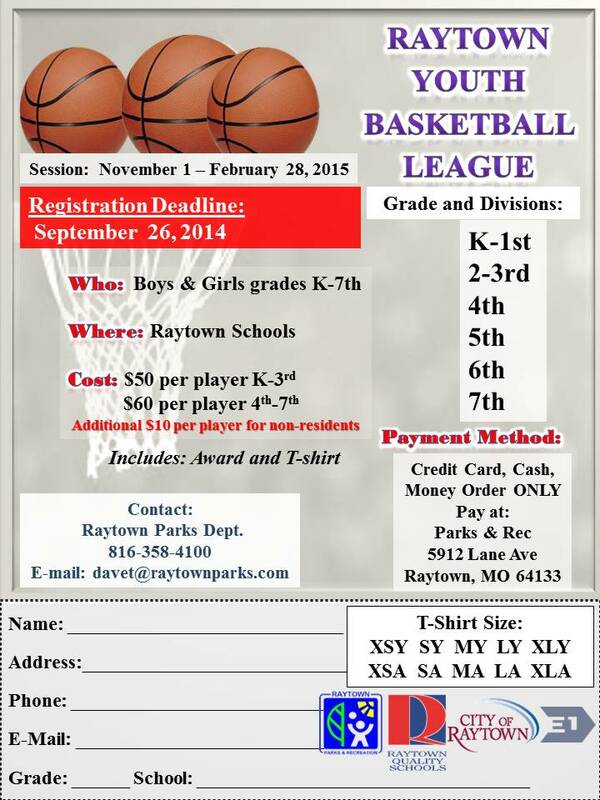 For questions, please contact Coach Lauren Brentlinger at lauren.brentlinger@raytownschools.org.